Joe Rogan returns to Netflix for his second stand-up special. He covers a lot of subjects including #VeganCat, the miracle birth, and more. The outspoken comedian who’s mostly known for his podcast hits another home run with this hour-long comedy special. It’s been over two years since Joe Rogan’s first comedy special Triggered came to Netflix and the content of Strange Times will feel familiar. Should you watch Joe Rogan: Strange Times? Joe Rogan, despite being mostly known for his podcasts nowadays, still has what it takes to go against the biggest comics. This latest special continues Joe’s tradition of targeting anything and everything, specifically going after vegans and women. It’s 60 minutes that will have you howling, sometimes stunned into silence, and wishing for more. Hopefully, Joe’s next Netflix appearance doesn’t take another 2 years. User reviews have been strong for the new special so far as it sits at a 7.7/10 on IMDb right now. I’m not sure you can make a comedy show without referring to the 2016 election. He states that Trump is the complete opposite of Obama saying people were bored with how uninteresting the former president was. Hilary Clinton gets a mention before then quickly moving on to feminism and women. Joe takes a look at feminism and the recent #MeToo movement and has rather controversial opinions on the matter. He plays with a few scenarios where he flips the gender roles. During a portion of the special, Joe talks about an incident where at 1 AM in the morning, he runs into a pleasant woman who wished him dead. One of her most used hashtags was #VeganCat. While we won’t shame some of the people who have legitimately used the hashtag, we’ll show you a portion of those that caught the Joe Rogan special on Netflix or live. Who else is looking up #vegancat because of the @joerogan special ? During the special, Joe talks about religion and how there was, in fact, once a miracle birth. He’s referring to an incident where a woman was stabbed and was impregnated as a result. Is the story actually true? It really is! Towards the end of the special, Joe referred to a website that shows the number of births that are happening right now. We’ve found a few, but this one has the animation that Joe refers too. 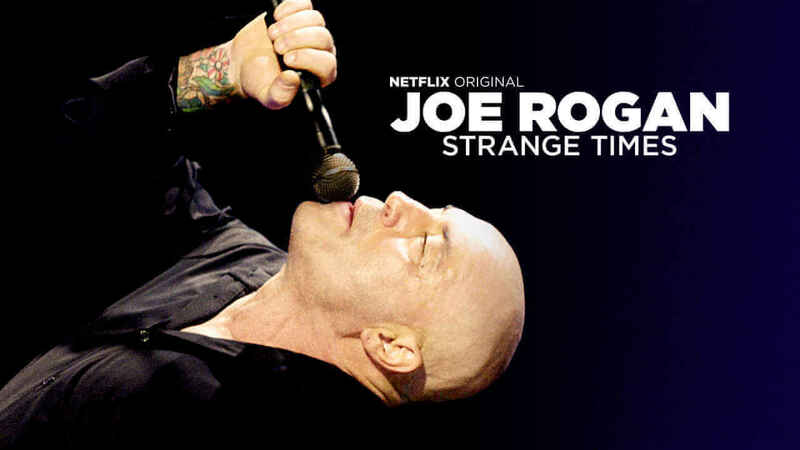 Joe Rogan’s Strange Times is available now on Netflix worldwide as is his first special Triggered. Some Netflix regions also have access to his 2013 series called Joe Rogan Questions Everything as well. Next story When will Season 5 of The Flash be on Netflix? Previous story Are Over 55% of October’s Netflix Additions Originals?